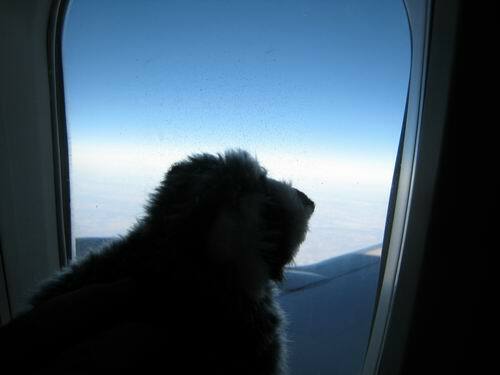 Squeaky and I traveled to Mexico by plane with friends and fellow teachers. 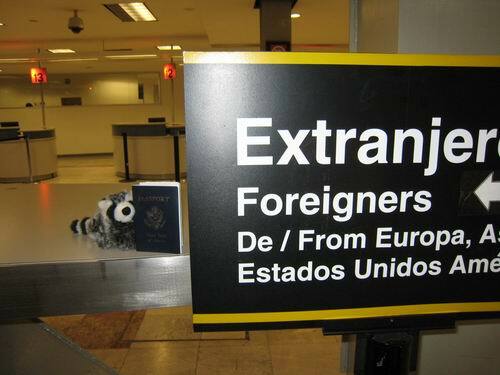 When we landed we needed to show our passports to get into Mexico. This is a special book that has your picture in it. Each time you arrive in a new country you get your book stamped. We also had to change our dollars to pesos so that we would be able to use our money in Mexico. Squeaky has his passport ready. Once we arrived we took a cab and checked into our hotel ,in Mexico City . We began our adventure right away by taking another cab to the Mexican National Museum of Anthropology. The National Museum of Anthropology in Chapultepec (Grasshopper) Park in Mexico City is a very special place because you can learn about how the people lived in Mexico a long,long time ago . One of the things I learned about was a game called Ullamaliztli .Players use their hips to push a ball of hard rubber through a stone hoop. The teams would face each other on the court. The goal was to get the ball through the stone hoop. This was extremely difficult, and so if it actually happened the game would be over! Miss Hope in front of a stone hoop. 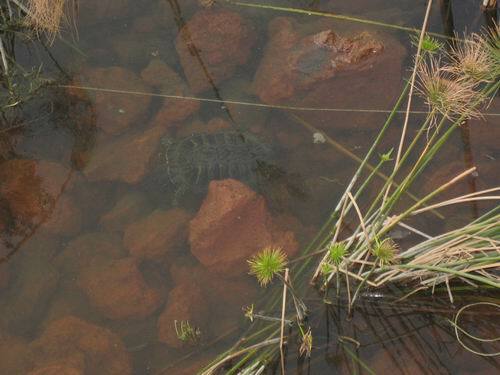 A turtle in the museum fountain pool. 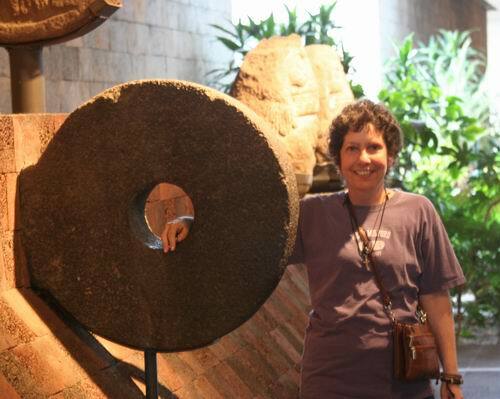 The museum is also home to the Aztec Sun Stone. This was a calendar and a way for people long ago to tell time. 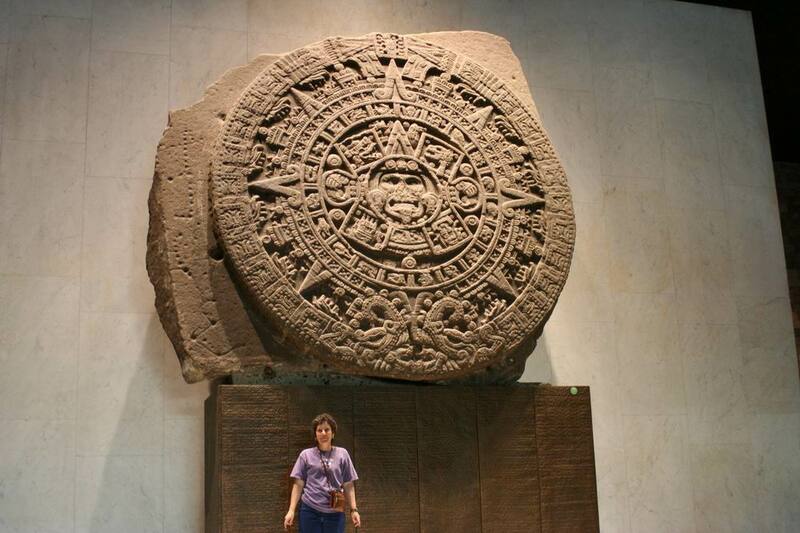 The Aztec Calendar: What's your totem? After returning to our hotel we had dinner and went straight to bed .The next morning we had to check out and travel four hours by bus to the magical town of Tlalpuhajua. Do you think we needed our winter coats in Mexico? What is the time and weather in Mexico City?